PALESTINE, that enclave of humanity occupied, brutalised and totally without any form of military defence against any and all aggressors is conveniently perceived as a threat by the Jewish state, Israel, the undeclared, sole nuclear power in West Asia and North Africa (WANA). This latter entity, the occupying power, is a usurper legitimised by imperial Britain and today unconditionally supported and armed by the United States of America (USA). Such is the irony of the geopolitical construct that terrorises Gaza, virtually an open prison, and the West Bank, perpetually. Abandoned by the so-called international community, Palestinians draw inspiration from the defeat of the ‘mighty’ by the ostensibly ‘powerless’ at various points in history. It is that spirit which keeps the flames of resistance burning. Demanding for the right of return to the homeland by the Palestinian diaspora of refugees, the on-going Great March of Return, a peaceful protest bringing out thousands of Palestinians marching along the Israeli border, is but the most recent show of this spirit with numbers symbolising strength. And, Israel not wishing to disappoint the world met this peaceful demonstration with such disproportionate violence that at least 18 Palestinians were killed and almost one and a half thousand injured because live bullets were fired into the crowd and drones flew overhead dumping tear gas on the marchers. That this degree of violence, which included a row of a hundred snipers on the ready, on the part of the occupiers was planned made it all the more galling. Tel Aviv knew they could perpetrate this act of inhumanity with impunity as it became obvious only too quickly. Calls for an investigation by the seemingly outraged international community were immediately quashed by a US veto in the UN Security Council, even as the martyred were being buried. Long suffering, the Palestinians cannot any longer hope to find a solution through established institutions like the United Nations, now more than ever nothing but an instrument for legitimising the interests of the powerful member states. The time has come to unmask the futility of the two state solution used merely to prolong negotiations while enabling Tel Aviv to pursue its genocidal agenda. As Richard Falk insists the time for goodwill has “long passed”. It is time to pressure Israel into a settlement. 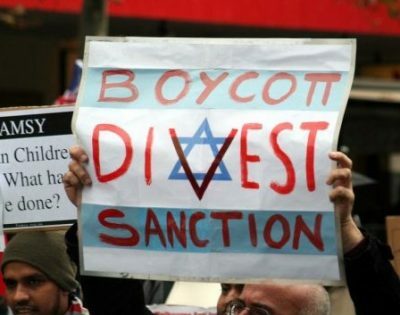 Individuals and state actors alike must intensify the boycott, divestment and sanctions (BDS) campaign against Israel. In the name of justice let us isolate Israel. Support the BDS Movement and intensify the siege. Askiah Adam is an Executive Director of the International Movement for a JUST World.